In 1974 an early collection of rural tools and machines was gathered up in Gaville by a group of enthusiastic local friends with the purpose of protecting the material signs of rural life. Year after year the collection continued to grow and thanks to an increasing number of enthusiasts the cultural association “Rural Civilization Museum” was eventually set up in 1988. Now the museum is the keeper of a collection of 7000 pieces and its members together with the Provveditore Pier Luigi Righi are working hard to preserve this cultural heritage. 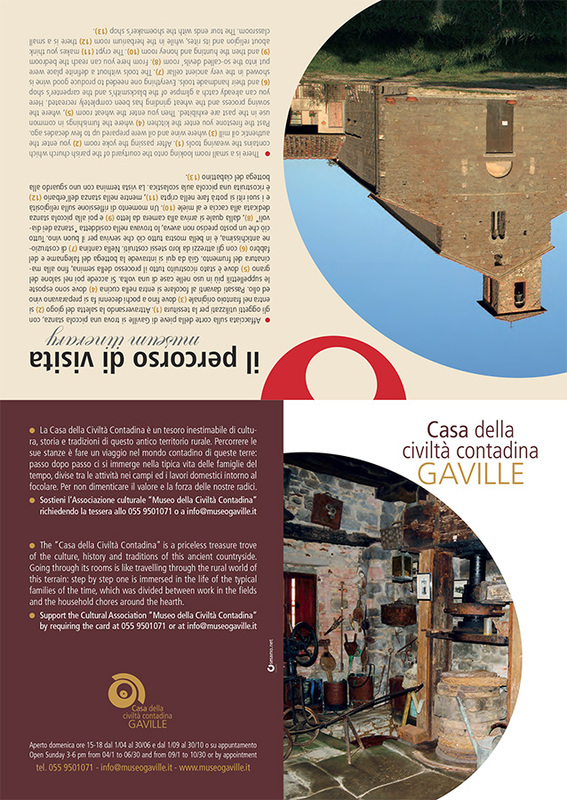 The collection is placed in the rooms next to the thousand-year old Romanesque parish church of San Romolo in Gaville. In 2012 this place was named “House of the rural culture”. Tourists, groups and students can visit the museum with a guide. Every year an average of 2000 visitors comes to the museum. In addition to this, many people join us during the Spring town festival in May or the ancient crafts fair in October and our participation in the important food farming event called Autumnia in Figline Valdarno on the 2nd week of November is really appreciated . 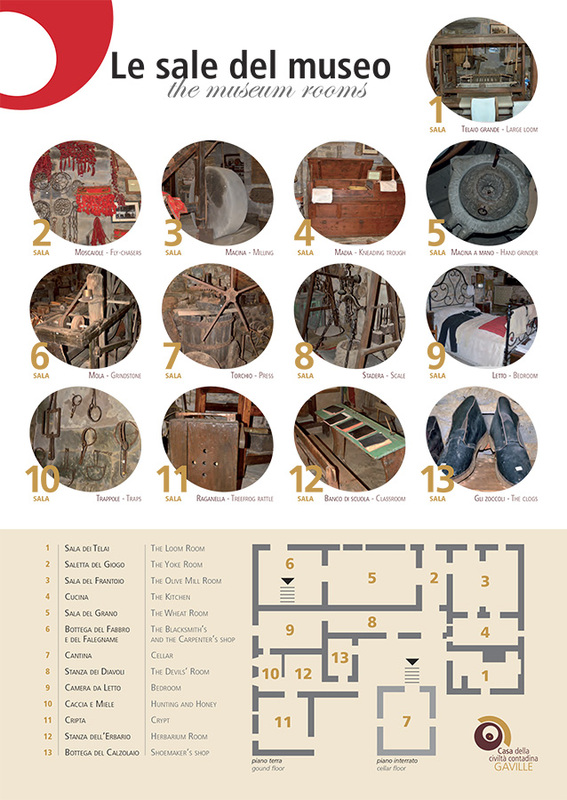 The House of the rural culture is twinned with 40 similar museums in Italy and Europe. We do not want to regret a world of extreme poverty and cruel social inequality, but we are worried about the loss of the values of the rural society. The tools we see in the museum of Gaville are very important, they are far from our daily life but they can speak to the young as well as an artwork. The House of the rural culture is not only an exhibit but also a historical documentation center. The project aims to provide the old people with nostalgic memories and the young with the knowledge of their roots.